Worn once for Wedding and Reception. Purchased at Weddings By Deb in downton Faribault, MN. Original price was $1000. 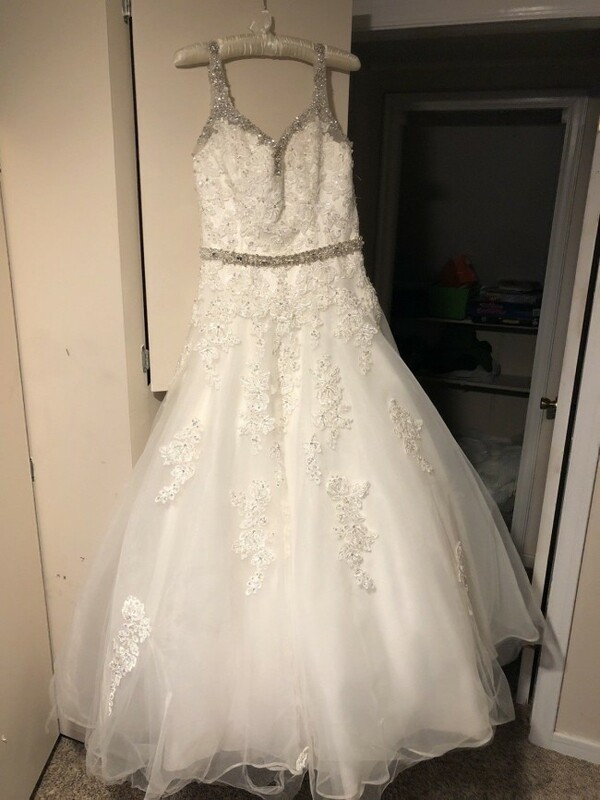 Dress has not been drycleaned and for that reason there is soiling on the bottom (this has been factored into the price and why it is so cheap). Pictures updated 2/10/19 to show condition. If you have any questions or need more pictures message me and I will send you any info or better pictures I have to your liking. Thanks! Once you send a message, Ben can invite you to purchase the dress.